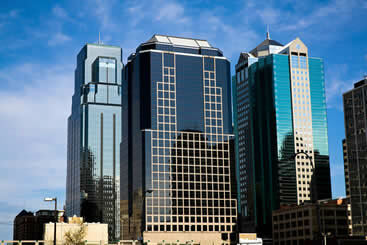 Kansas City, Missouri is a very large city that was founded back in the 1830’s as a port of the Missouri River just where the Missouri River meets the River Kansas. It is located on Missouri’s western border with Kansas. Most of the city lies in Jackson County but parts of the city reach into in Platte and Cass counties. If you are in Kansas City for a visit with your family there lots of interesting places and fun activities available for you to choose from. Below are some amazing places that you may find interesting to visit on your next trip. Due to the proximity of Platte Falls Conservation Area and Clay County Park, adventure lovers use this airport to reach here and get all of their thrilling desires fulfilled. The city is the first choice of many when it comes to outdoor sports. Either it is hiking on tough mountainous terrains or rowing ships in the clear waters of Kansas River; snow skiing in winters or enjoying in water parks during the summers; this place has everything on offer. Apart from its adventurous offerings, the city of Kansas is an economical hub, attracting business personnel, job seekers, and entrepreneurs from all over the world. With its beautiful skyline, lively lifestyle, and centuries-old history, this city is a heaven for people coming from all backgrounds. The best way to reach here is through a plane arriving at the MCI Airport, present at few minutes distance from the city, allowing you an easy access to all of your favorite locations. Moreover, the airport has free Wi-Fi facilities, so no more boredom if you’ll have to spend some time here. 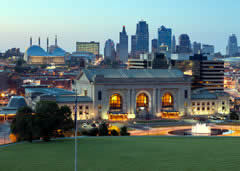 The beautiful city of Kansas is known for its old heritage, theme parks, sports arenas, and multiple golf courses. The thing which adds to the charm and uniqueness of this city is that it is expands over two states; half of it is present Kansas while the rest is in Missouri. Travelers coming from all over the world use MCI Airport to get here, present in the outskirts of the city. Missouri’s cities are known for being quiet, yet prideful metropolises, and Kansas City is no exception. With a longstanding history of jazz and a delicious southern barbecue tradition, the town’s got its work cut out for it. If you visit Kansas City International, you’ll find yourself 15 miles northwest of the city, but still in arm’s reach of most hotels and fun landmarks, making transportation as simple as pie. Book a shared ride van with us and hitch a cheap and safe ride as soon as you step off your airplane. Kick your trip off with a good start by making sure everyone in your group gets their fair share of sightseeing. Instead of waiting up for others and taking separate vehicles, save some money and time by traveling together. To prepare, reserve a spacious private van, checking out fun locations like the many shops at the Country Club Plaza or the aquariums at Crown Center as a group. Kansas City is filled with engaging bars and impressive monuments, all of which can be seen with the utmost comfort by driving around in your own private sedan. To get a dose of adventure, get your new set of wheels from our providers and head out to Kansas City Union Station, a beautiful museum that exhibits the rich history of the city’s public transportation. While you’re out, see other astounding places like the Science City at Union Station. Big-time vacations call for big-time vehicles, which means getting a private SUV from our local service providers is as smart a plan as ever, especially when it comes to adventuring through Kansas City. Grab your family and grab a hotdog at Kauffman Stadium, home to the historic Major League Baseball field for the Kansas City Royals. While out, head out for dinner at Q39, one of the greatest barbecue restaurants in the world. If greasy meat isn’t your forte, visit one of Kansas City’s more posh dining rooms like Chaz on the Plaza, an upscale American restaurant with a club-like atmosphere. You can also check out Le Fou Frog, an exquisite restaurant that serves French delicacies – arrive in style by reserving a stretched limousine from us, exploring every fanciful facet of Kansas City in remarkable elegance and comfort. If you’ve got a rather big group of people, you may want to consider the locations you visit. The Kansas City Zoo has more interactive exhibits than usual, putting each guest about as up close and personal as it can get. Have everyone get there by scheduling a chartered bus for pick up and drop off to just about anywhere you need to go, whether it’s a fun park like the zoo or 18th and Vine Downtown, which is a fun cultural strip of jazz and blues bars as well as world-class museums. 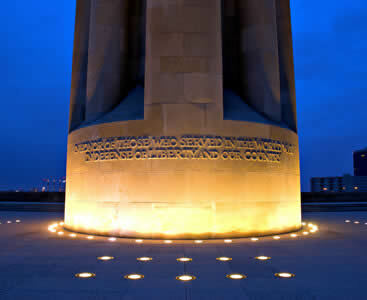 You and your family will enjoy visiting the famous and historic Liberty Memorial Museum, which serves as a memorial to the men and women who were killed in World War I. The museum has many exhibits that memorialize the war. → The World War I memorial museum opened its doors in the year 2006. → Once you arrive at the Museum you will be able to see a monument that is a high pillar built using the concept of ancient Egyptian architecture. → This museum is unique in that it offers online only exhibitions which help to enhance your experience or let you enjoy the museum even if you don’t have time to go there yourself. This marvelous museum will offer you and your family an opportunity to view impressive art collections from across the globe that you will see nowhere else. You and your family will find visiting the museum to be an interesting and exciting experience. → Much of the collections are from East Asia but you also find other pieces of artwork that have come from every corner of the world here. → The museum offers free tours daily or if you prefer to go at your own pace you can also take advantage of the museum’s mobile guides through your smartphone or tablet or by borrowing one from the museum. Built way back in 1914, the Union Station was a railway station that used to accommodate thousands of passengers. The station had a waiting room that was built to hold lots of people. 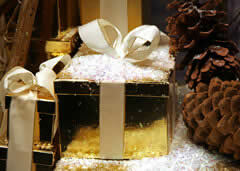 It now houses shops, beautiful restaurants, and other amenities offering various different kinds of services to visitors. → It was closed down in the 1980s but was later reopened in 1999. → There is also the Science City located at the Union Station which is considered another great tourist attraction of the city. The Hallmark Visitors Center is located at the Crown Center Complex and your visit to this cool tourist spot will enable you to see several displays of historic greeting cards and take you through the history of the Hallmark Company. → You will also learn about the amazing rags-to-riches story of Joyce Hall at the Hallmark Visitors Center. → Kids and adults alike love the Peanuts display where you can see some of the literally billions of Peanuts inspired memorabilia that have been sold by Hallmark over the years. 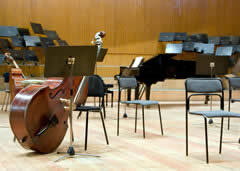 This is an elegant and new performing arts center located in the city that was opened in 2011. The center is a masterpiece of great architectural work that houses the Lyric Opera of Kansas City, Kansas City symphony, and the the Kansas City Ballet. You can visit the center for you to get some bit of entertainment. → The Kauffman Center had its grand opening in 2011 and since then millions of people have been able to enjoy performances there. 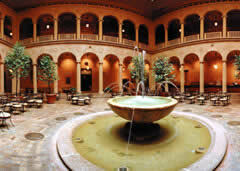 → The center offers tours daily for groups of 10 or less. If you have a larger group or will be coming for a field trip you can contact the center to book a private tour.